A hybrid dark sour ale aged for 4 years on some of the finest red wine barrels from the Bordeaux area in France. 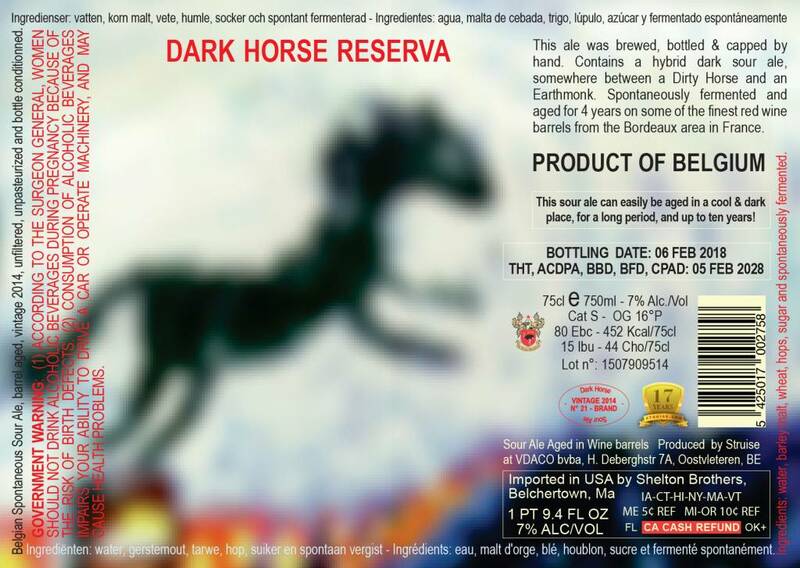 Struise Dark Horse Reserva This ale was brewed, bottled and capped by hand. Contains a hybrid dark sour ale, somewhere between a "Dirty Horse" and an "Earthmonk". 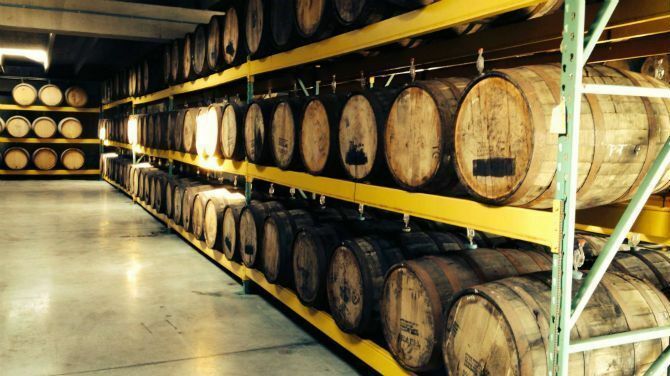 Spontaneously fermented and aged for 4 years on some of the finest red wine barrels from the Bordeaux area in France.